Every move deserves full-service expertise you can count on, even if you’re moving locally. 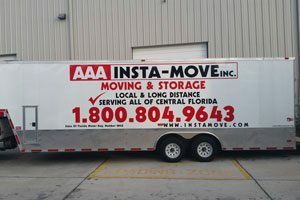 When you go with AAA Insta-Move, you are getting the most trusted services for local moving from Orlando to Meadow woods. We maintain an A+ rating with the Better Business Bureau, and as ProMovers with the American Moving & Storage Association, we stay updated on the latest and best practices for a seamless moving experience. Grab an Exact Moving Estimate! Don’t struggle with the hassles of packing, loading, and transporting your household items. When you go with AAA Insta-Move, we make full-service moving affordable for any need and budget—starting with a free estimate of moving costs! Get yours by using our simple online form, or give us a call to learn more about what makes us the leading choice among moving companies in Orlando!